Union Finance Minister Arun Jaitley on Sunday highlighted the potential of bullet trains in regenerating the economy, but cautioned that unless real implementation takes place, nobody would have any idea about these benefits. Addressing a national seminar on Integral Humanism-Indian Way of Attaining Sustainable Development, Jaitley, while referring to 'ill-informed debates' in the recent past on the benefits of bullet trains, stated that a common misconception has to be clear that improving connectivity will only empower the rich and not the common man. Further, he reprimanded a heckler who interrupted him while speaking on the subject. The heckler sought a Hindi translation of the words bullet train and was curtly told to be serious and avoid frivolity. "I have visited Japan thrice in the last fifteen months. When I had to travel for an event from Tokyo to Yokohama, I was sceptical about the food there. A friend of mine who lives in another city was able to bring refreshments in just 17 minutes, in spite of being in another city. Such is the power of bullet trains," he said. "Bullet trains can help in regenerating the economy and building new townships and smart cities. An individual travelling 100 km from Mumbai to Ahmedabad or vice-versa on work can commute in just about 30 minutes. There is a need for more integration and development, undoubtedly. 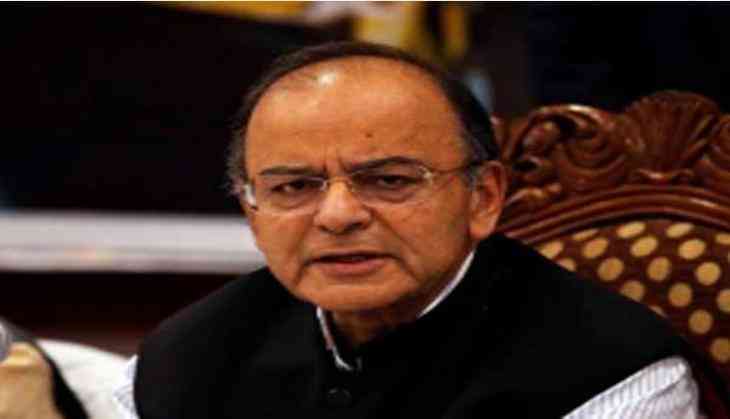 However, the real idea of this can be understood only once implemented," added Jaitley. Earlier in the month, Prime Minister Narendra Modi while laying the foundation stone for India's first high-speed rail project along with Japanese Prime Minister Shinzo Abe said it will provide 'Suvidha' (facility), 'Suraksha', (Security) and will brings 'Rozgar' (Employment) and 'Raftar' (Speed). He had also stated that a new economic system was being developed along the Mumbai-Ahmedabad corridor, and the entire area would become a single economic zone. With regards to the empowerment of the common man, Jaitley stated that an economic model chosen must ensure direct benefit transfer is instated, which can be achieved through the financial inclusion drive that is in place to ensure that every Indian household is integrated into the country's banking system. "Various economic models have been spoken about. However, the need of the hour is to empower common man and small enterprises, which requires a number of benefits to be taken in different sectors, such as health, sanitation, education, availability of electricity for all and so on," he said. Further, Jaitley stressed on the improvement of infrastructural facilities such as building better roads, highways, a modern railway system and so on, as they do play a key role in empowering the rural sector and eradication of inequalities. He also emphasized the importance of improving connectivity in the rural segment, adding that all villages and towns should be connected by proper roads.